I’m going to start buying a local food product from my daughter Alicia Huston and son-in-law Mark (pictured below) next year, in a 750-ml bottle that says Canadian Club. 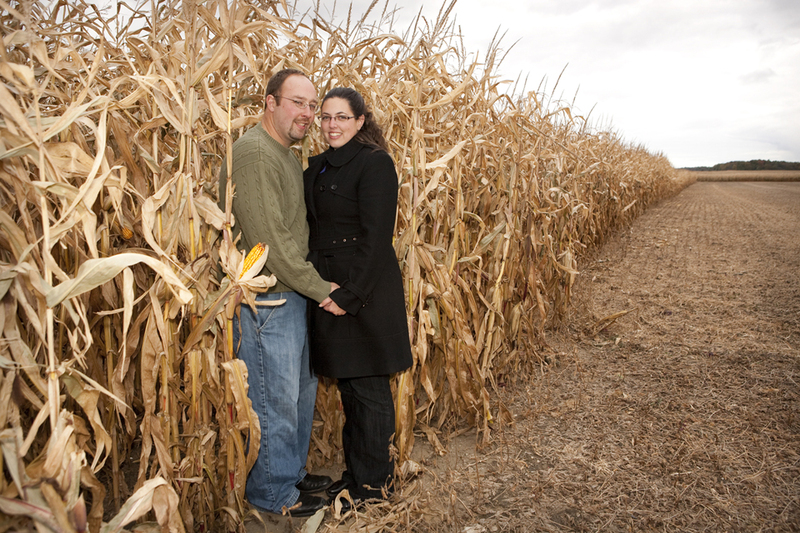 For the past five years, the Huston family farm near Thamesville has been selling premium corn — meaning fewer cracked kernels and less foreign matters such as weed fragments — directly to distillers. The corn’s ultimate destination is the Hiram Walker plant in Windsor’s Walkerville neighbourhood, where it will be distilled into Canadian whisky (no “e” in whisky in Canada). Most Canadian whisky is aged for at least six years before it’s sold. So next year, their distilled corn should start appearing as whisky in the LCBO. Mark was the featured “farmer” speaker last week at the Canadian Whisky Summit, in Toronto, sponsored by the Guelph-based Grain Farmers of Ontario, Spirits Canada and the Ontario Ministry of Agriculture, Food and Rural Affairs. His job, as second vice-chair of the 28,000-member grain farmers organization, was to explain in 10 minutes to the urban audience of processors, regulators and retailers, how corn is grown on the farm and marketed, and a bit about its versatility. I write about his address, along with more on local food, in my Urban Cowboy column in the Guelph Mercury.